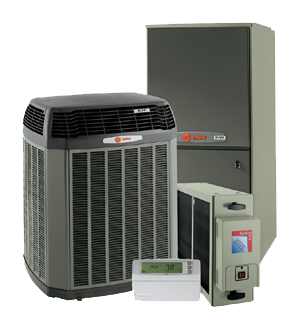 Heating system or HVAC (Heating, Ventilation, and Air Conditioning) systems can be very complex. However, there are a few things you can check before calling for service. Here is a question from Joanie, about a problem with the heating system in her home. Joanie, this can be a very simple problem, or it may be quite complex, and it looks as if you have already covered the first important steps to troubleshooting the problem. In most situations, the homeowner should not delve too deeply into the world of HVAC. These systems vary considerably in the complexity of the system and the components within, and should be referred to a qualified service person. 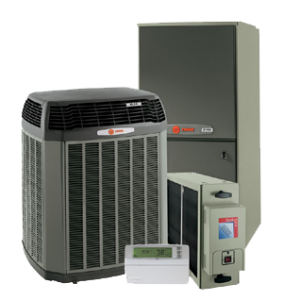 However,there are a few steps you can take to help in troubleshooting an HVAC problem, including the steps you have already taken. These steps may save the expense of calling in a professional in the event of a simple solution, but at the very least it will assist the repairman in pre-diagnosing what the problem may be so he or she knows what parts might be needed, and so they have a basic idea of the problem before heading out for the repair. Is the breaker supplying the unit tripped? Have you turned the breaker to the full off position, then returned it to on. Did it feel like it clicked firmly into place at the on position? If, as in this case, the air conditioning works, but not the heat, then there is likely power to the unit. The heating unit may well be fed from a separate supply, so check for any breakers that may be tripped. Is the thermostat working? In the case of a digital thermostat, is the display functioning. If not, check to see if the digital unit requires batteries, and if so, do they need replacement? Again, if the A/C is working, then the thermostat and the transformer or batteries are likely OK and functioning normally as well. However, some systems will use a different control transformer for the heating and the cooling functions, so the problem could still be a transformer on the heating side of the system. Is the thermostat set properly when trying to heat the home? Some thermostats will switch automatically from heating to cooling, depending on the room temperature and the set-point of the thermostat. Some require switching from cooling to heating mode manually. If the thermostat appears to be set properly for heating, the problem still may be in the thermostat not fully functioning properly. If after checking all you can for any obvious problems, then the issue is likely within the HVAC unit, and could be anything from a faulty transformer, burnt out fuse, faulty electronic control board, loose connections, bad relay, burnt out heating element (or gas supply or component problem such as a faulty gas control valve if the heat source is gas fired), or any number of potential problems that a trained professional will have to figure out. Before calling for service have the make, model, and serial number of the unit ready for them as that will be required information. Following a few simple and logical troubleshooting steps can save you money (and maybe some embarrassment) before calling in a technician to help you solve an HVAC problem. However, if you do call in a repair person, and the problem is simple, ask them to do a thorough check of the system to ensure that it is well maintained, and to point out and remedy any potential problems or issues that can be fixed now to prevent problems in the future. HVAC systems should be routinely inspected and maintained so ask about a recommended P.M. schedule. This entry was posted in Home Electrical How-To, Q & A and tagged air conditioning, breaker, heating, Heating problem, heating system trouble, HVAC problem, power, thermostat, trouble-shooting, ventilation. Bookmark the permalink.